"She walked past the alley and then went back ... thank goodness she did." 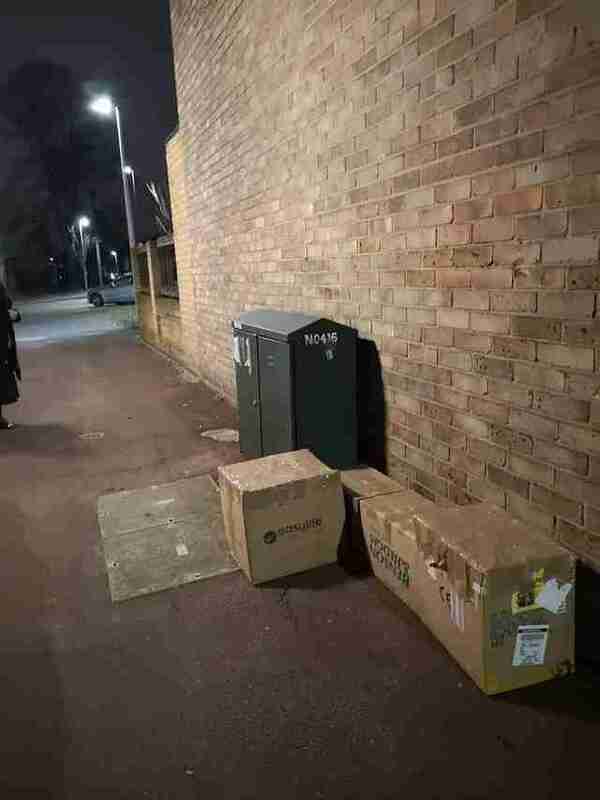 At first, a woman walking home from work in London passed right by several cardboard boxes — but then she heard something that made her stop in her tracks. Little cries were coming from the boxes, which were sealed shut with heavy tape. "She walked past the alley and then went back," Celia Hammond Animal Trust (CHAT) wrote. "Thank goodness she did." Rescuers from CHAT rushed to help after the woman alerted them, and they heard the heartbreaking meows of cats inside, too. But because the boxes had been left in an alley near a busy road in Stratford, rescuers had to be super careful. "There were no air holes in the boxes," CHAT wrote. "We didn’t know their temperaments so didn’t dare open the boxes and risk them flying out into the road, so made a few tiny holes to let air in but not big enough to allow them to rip at the cardboard and escape." A short drive back to the animal clinic later, rescuers were able to discover whose lives they had just saved. Deciding that using scissors to cut the boxes open would be too dangerous, rescuers used a dull butter knife to slice through the heavy tape. Inside the boxes was a total of 11 young cats and kittens who would have certainly died if no one had found them. 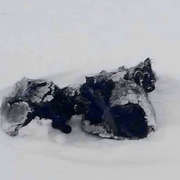 "We can only assume the intention was for them to die," CHAT wrote. "Without oxygen our vets estimate they probably wouldn’t have lived more than an hour or two." It's a mystery where the cats came from and why they were left in the alley to die — CHAT is asking for anyone with information on the case to contact them. In the meantime, rescuers are being surprised by the personalities of the abandoned cats. 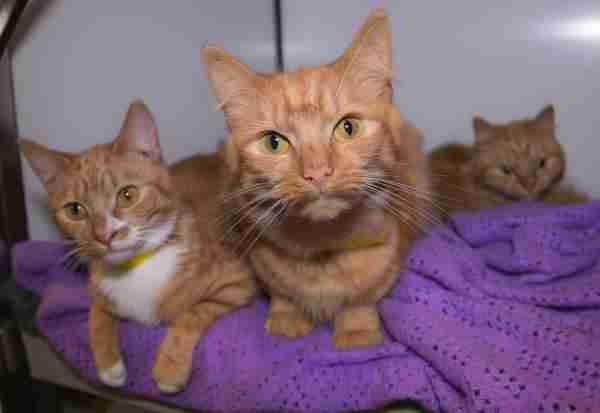 "One really strange thing is that these cats are really friendly and have clearly once been loved, handled and cuddled," the rescue group wrote. "What on earth would drive an apparently loving owner to do something so terrible?" The cats are getting time to rest and cuddle up with each other now that they're safe. They're also getting treated for fleas and getting neutered and microchipped. "They were initially shocked," a representative with CHAT told The Dodo, "but have now become much more friendly and are doing well. 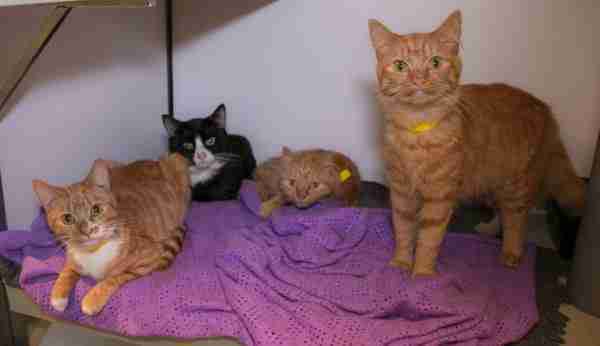 They were all a bit thin but are healthy young adult cats and will make a good recovery." And there's every indication that each of the cats has a bright future ahead: After news of their abandonment reached Facebook, many community members stepped forward to help CHAT with their new residents. 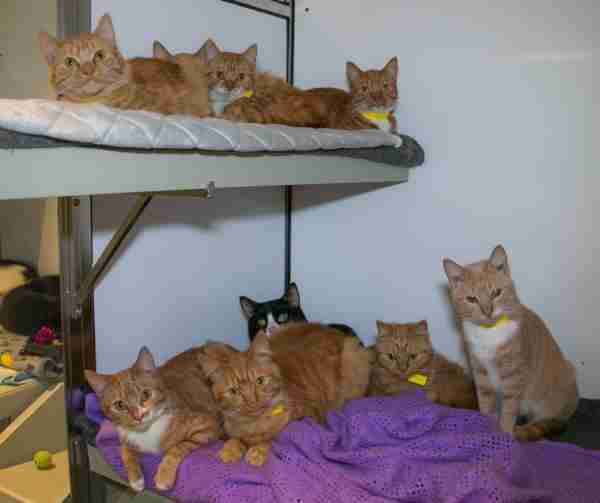 Many families have reached out and offered to adopt the cats. The shelter will be conducting house visits for potential adopters to make sure that each and every one of these animals has the home they truly deserve — once they're ready. "Many of you have gifted funds, food, toys and blankets," CHAT wrote. "We are totally overwhelmed by ... the extreme kindness that has been shown." 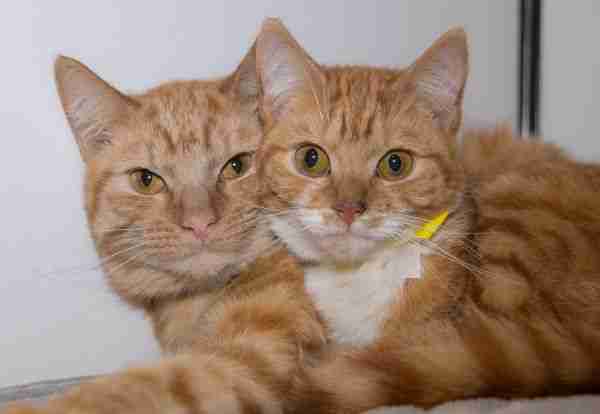 You can help care for these cats and all the other lives saved by CHAT by making a donation.